Fun Zone Rentals | We deliver the fun tou you! Have a question? SEND US A QUICK MESSAGE HERE! If the weather looks like it may affect your event, either we will get in touch with you or you can call us to discuss what your different options can be. Should we setup the equipment at your event, and the weather turns bad while the equipment is being used, the invoice is still due and payable in full as unfortunately we have no control over the weather and we have fulfilled our delivery requirements. Is Fun Zone Rentals covered with liability insurance? YES! We always maintain $3,000,000 public liabilty insurance should an accident occur due to the negligence of our setup crew, operators or due to malfunction of the equipment. Please note that this liability insurance only covers Fun Zone Rentals. Events can be added as additional insured - but varies on a case by case basis! What is Fun Zone Rentals Typical Delivery Area? 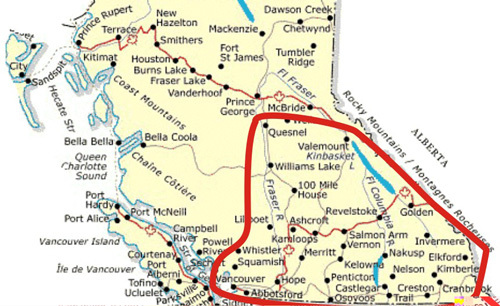 We deliver within Kamloops, Kelowna and the Okanagan normally. Outside of these areas, we typically deliver to larger school or corporate events with a minimum invoiced amount required. We specialize in corporate and school events so please request a quote for your event. if inadequate power is available, we can provide generators at an additional cost. Areas should be flat, clean, and clear of any debris. Installation location must not contain any stairs. Please notify us if installation area contains any hills or other obstacles. Dirt, Wood Chips, Pea Gravel, Sand due to safety of participants and cleanliness of our inflatable equipment. Providing we haven’t setup the equipment at your event, then there is no cancellation fee. You can even wait until the day of your event to make your decision without incurring any cancellation fees! However, once we do have the equipment setup at your event, the invoice amount is due and payable in full. Due to the fact that we would generally have to travel, if no notice of cancellation has been given before we leave our warehouse, then the invoice to due and payable in full. Corporate Events - Schools - Grad Events - Fundraisers - Birthdays & More! Fun Zone Rentals serving Kamloops, Kelowna, Vernon Chilliwack, Vancouver and the Lower Mainland of BC. We provide inflatable bouncy castles, bounce houses, slides, obstacle course, bungee run, gladiator joust, inflatable laser tag, velcro wall, dunk tank, big glove boxing, arcade game simulators, retro arcade!